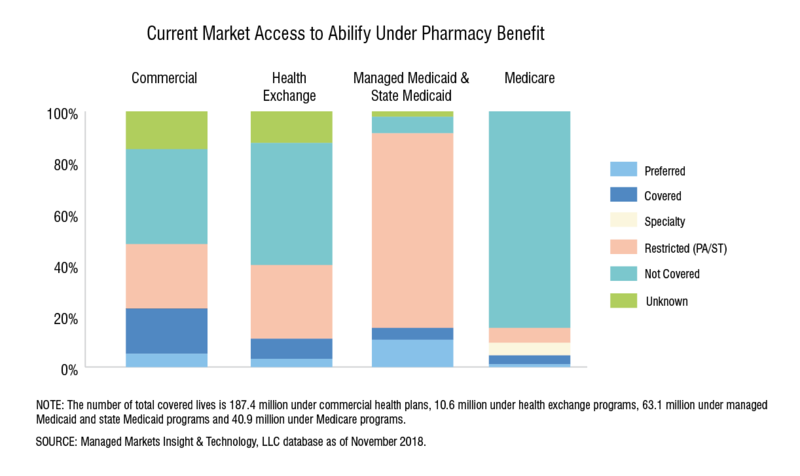 In a move that one expert says Medicaid plans will be watching closely, Magellan Health and the drug manufacturer Otsuka America Pharmaceutical, Inc. said in August that they will work together to allow "select regional provider networks" contracted through Magellan to opt into a program involving the Abilify MyCite system, AIS Health reported. Abilify (aripiprazole) treats schizophrenia and other mental illnesses. The MyCite system comprises Abilify tablets embedded with sensors; patches that detect and record the date and time of the pill's ingestion as well as physiological data like activity level; an app that lets patients review their data and enter additional information; and a web-based dashboard that lets providers and caregivers display and track a patient's drug ingestion patterns over time. One in five Medicaid enrollees has been diagnosed with a serious mental illness or other behavioral health issue, and there's likely another one in five who are undiagnosed, says Jeff Myers, president and CEO of Medicaid Health Plans of America. "So anything the plans can get [in their] tool belt to ensure adherence to their drug regimen, to do what we can to keep them well, is something the plans are going to look at very carefully."